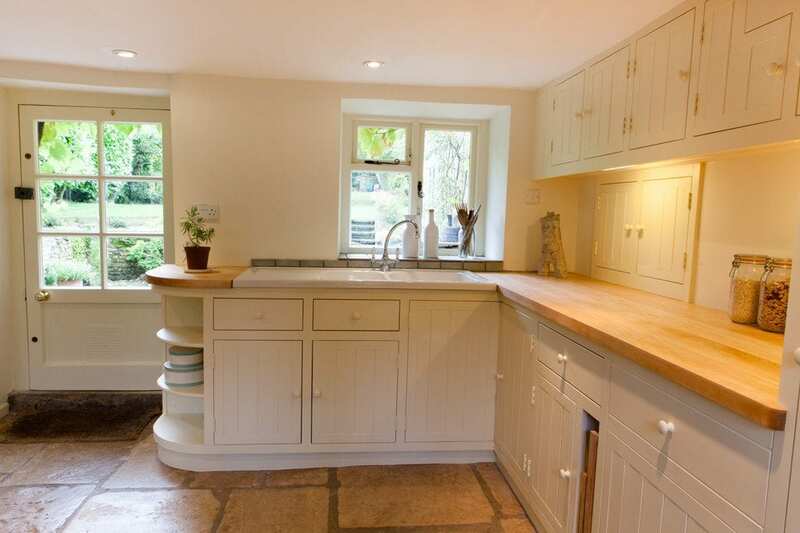 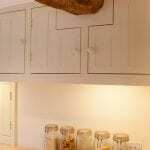 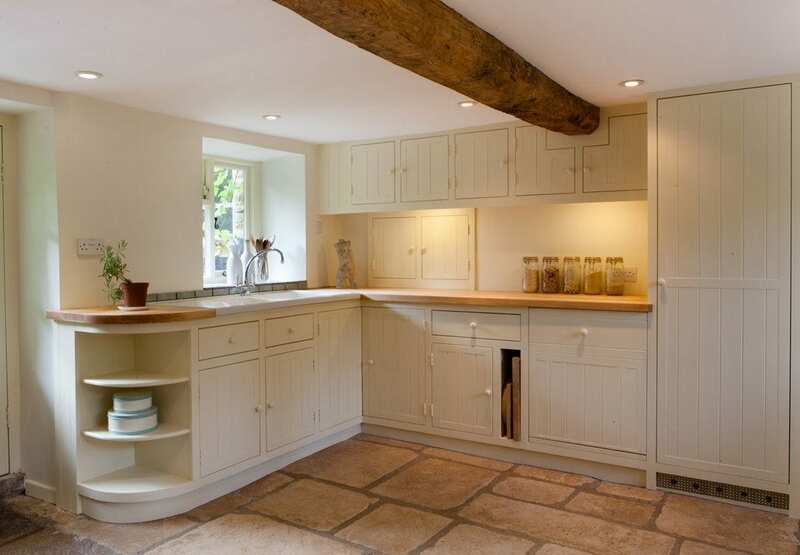 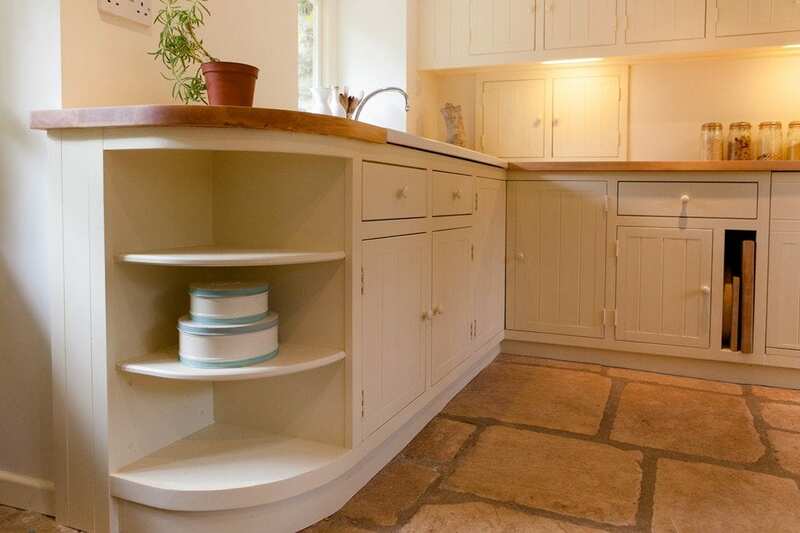 This bespoke hand painted kitchen was created to match some existing cabinets in another part of the room. 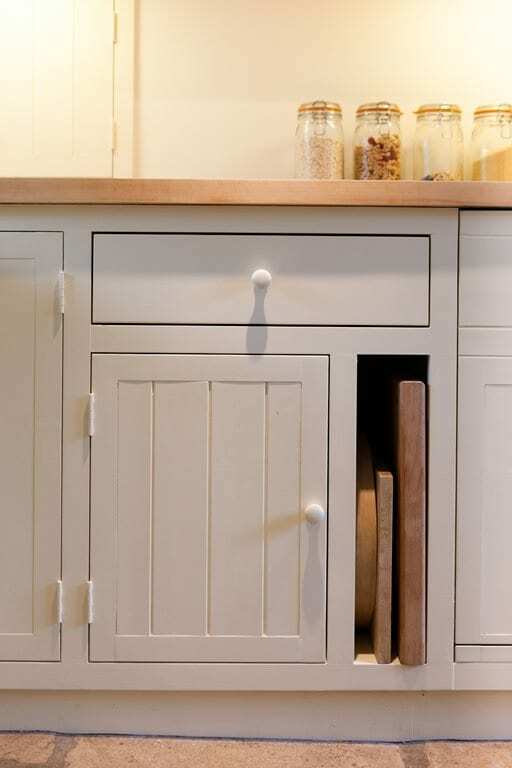 Solid maple worktops are complemented by a feature ceramic sink, open shelving and simple tongue and groove panelled doors with wooden knobs. 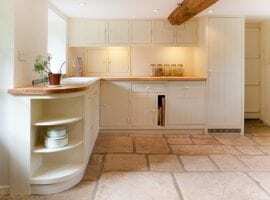 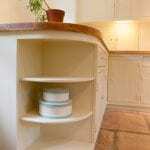 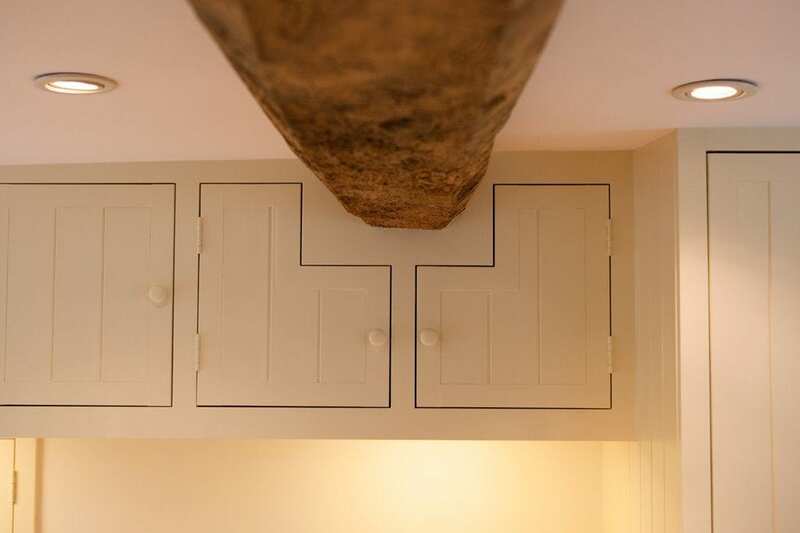 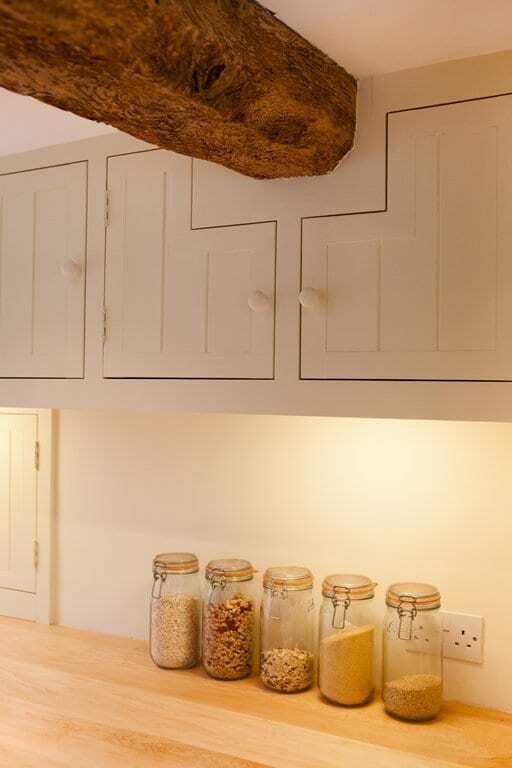 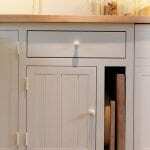 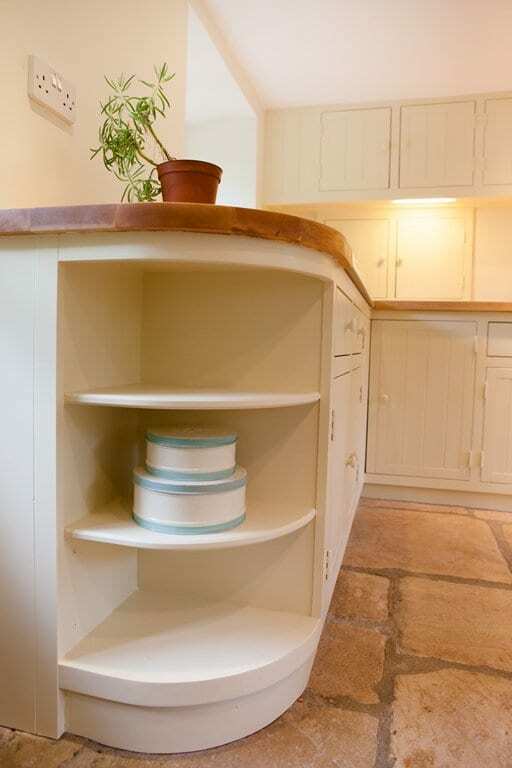 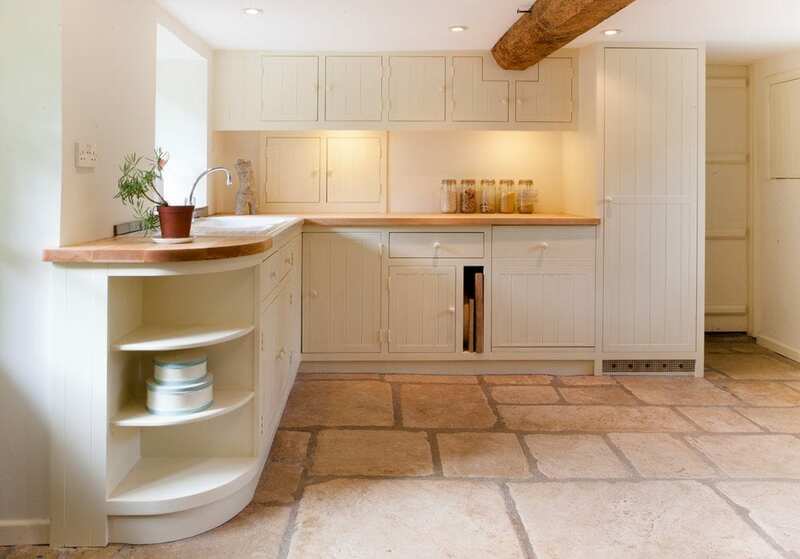 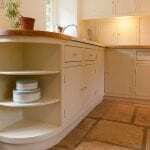 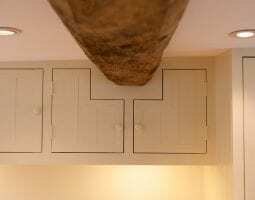 An old doorway was incorporated into the design, which provided some extra deep wall and base cabinets as well as a flush mounted cupboard opening over the worktop. 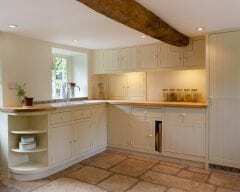 A few quirky features, including some ‘L’ shaped doors around an old beam, as well as integrating the appliances ensure that this kitchen looks very comfortable in its surroundings.